What a rare opportunity to own a house of this quality and size in one of the best school districts south of Atlanta! Only 21 miles from the busiest airport in the world, yet tucked away on a beautiful large acre wooded lot, located on a single cul-de-sac street development. The photos say it all! 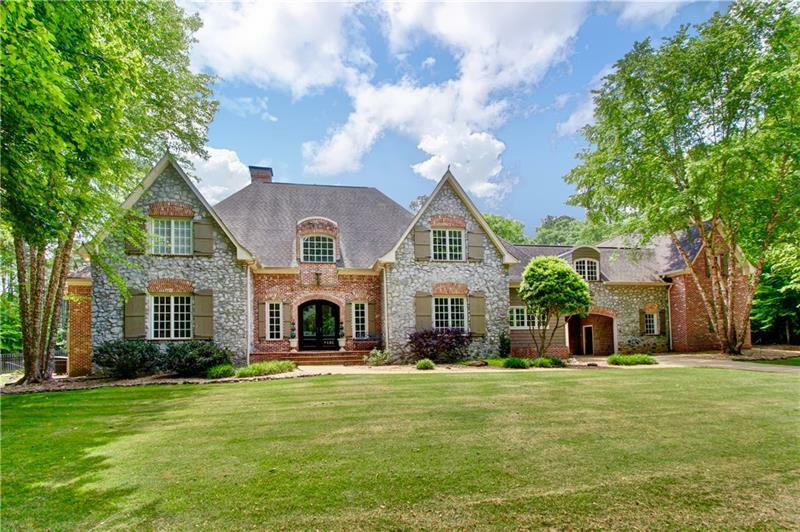 5 bedrooms (master on main), 5 full/ 3 half baths, 3 fireplaces. Full finished basement with bar, pool table and 12 seat theater. 3 1/2- car garage, with additional unfinished above carriage-house for potential in-law suite! Pool! A representative from Metro Brokers has received your request to visit 185 St Gabriel Way on at .